Search engine optimization is an ongoing process. It takes a lot of work to achieve those elusive Page One rankings—and a lot of work to retain them. Part of the required onsite work is a systematic review of sources that might indicate there's trouble brewing or already in full storm mode. This article outlines 10 health checks of indicators we include at our firm as part of clients' long-term SEO strategy, along with suggested check frequencies (there are no hard-and-fast rules on frequency; every company will have a different requirement). All examples are based on issues we've actually encountered. Search Console information is as close as you're going to get to understanding what Google does and doesn't want. It's advice straight from the horse's mouth. Though it contains lots of useful info (checked your average page CTR against site outliers recently, for example? Need to swap up your meta descriptions to make them more compelling? ), reviewing the Coverage and Performance sections and any messages related to slow loading pages is essential. Review your organic traffic: Any peaks/troughs? pages performing as expected? Correlation between offline marketing activities and branded searches? To be honest, most SEO software will quickly pick up meta tag and HTTP header issues and alert you, but if you're not signed up with one of the SEO software houses, then download the free version of Screaming Frog and crawl your site using that instead. You're looking for any noindex meta tags in the section of the source code or X-Robots-Tag nofollow/noindex directives in the http header. 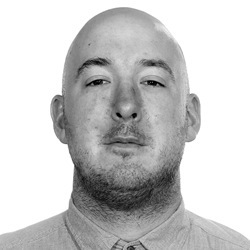 Luke Budka is director at digital PR agency TopLine Comms. He preaches about PR-led SEO and doesn't think there's a lot of difference between being on the front page of a newspaper vs. page one of Google's SERPs. Except that one of those is more measurable.